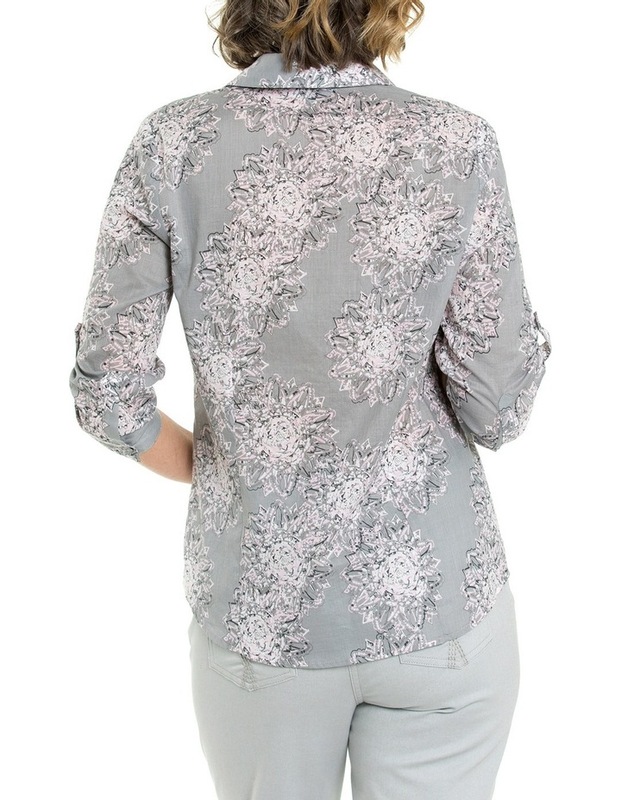 3/4 Sleeve Mandala Print Shirt. 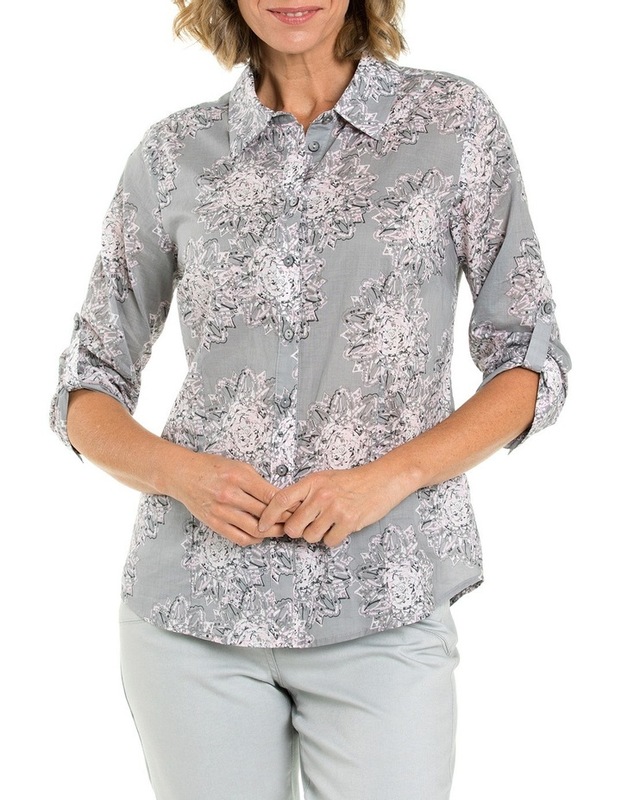 Our Mandala Print Shirt showcases this season's palette of Smoke and Petal Pink in an intricate motif. The colours combine to give a soft look, making it perfect to pair back with any White bottoms.